Listeria Hysteria, a short play jointly scripted by the University of Pretoria’s (UP) Departments of Plant and Soil Science and Drama, brought South Africa’s recent listeria outbreak to life during the 4th Science Forum South Africa event, held at the Council for Scientific and Industrial Research (CSIR) in Pretoria. Conceptualised by the Food Safety research group of the DST-NRF Centre of Excellence in Food Security (CoE) at UP, the interactive science play was aimed at highlighting the importance of food safety in achieving food security. So said PProfessor Lise Korsten, co-director of the CoE. Instead of having three talking heads, one after the other, peering over a podium to solemnly present their work, the Food Safety research group of the CoE teamed up with students from the UP Drama Department, et voila! A drab little breakaway room at the CSIR was transformed into the stage set for a TV show, with the fabulous La-Portia as presenter (every time she was announced, the audience of actors broke into thunderous whoops of applause). The plot of the little play, Listeria Hysteria, written in collaboration with UP’s Bailey Snyman, reminded the audience that it was just over a year since the Minister of Health, Aaron Motsoaledi, announced the Listeriosis outbreak which occupied our minds at the beginning of 2018. The Minister told us that it was a bacterium present in soil, water and on vegetation and certain animals, and could contaminate virtually any edible foodstuffs. In this case, the finger of suspicion quickly pointed to processed meats. The play vividly captured the emotions surrounding unfolding events. When the announcement was made that polony could be the source, the actors leapt to their feet, and, to the throbbing notes of Peggy Lee’s song Fever, they danced and swayed up and down the wide aisle, weaving through the rows of startled and laughing audience members, snatching at a silver tray containing slices of polony on cocktail sticks that bobbed above them, borne on upraised hands and passed quickly from one to the other. The confusion and fear felt by South Africans who found themselves avoiding familiar foods and not knowing exactly where the next rumour would pin blame was beautifully captured in an acted press conference held by “the Minister’s spokesperson”, whose measured and scientifically based comments did little to console or reassure. She was soon completely drowned out by the rumpus of shouted questions from the actors in the audience: Is my food safe if I wash it? Heat it? Freeze it? Does listeriosis cause cancer? Why is the search for a cause taking so long? This wasn’t the first time a theatrical performance was used to communicate the complex dynamics of food security by the CoE. In 2017, the CoE commissioned Another One’s Bread, a play by renowned South African playwright Mike van Graan, to explore various themes related to hunger in the context of the relationships between four women in Khayelitsha. The play opened to a warm reception at the Market Theatre in 2018. 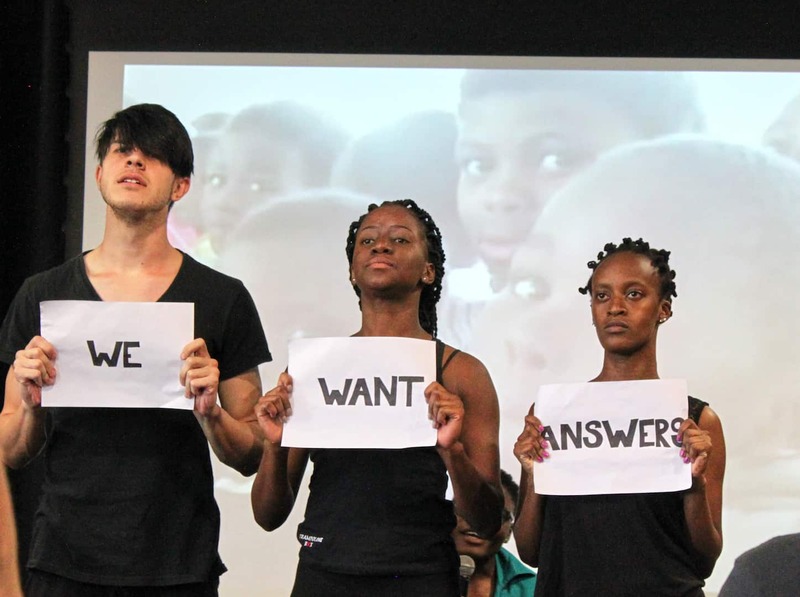 In 2016, at the International Symposium on Food Studies held at the University of Pretoria, attendees were treated to Titbits, a performance co-ordinated by Professor Marie-Heleen Coetzee from UP’s Drama Department, to represent food abuse in the context of food security. 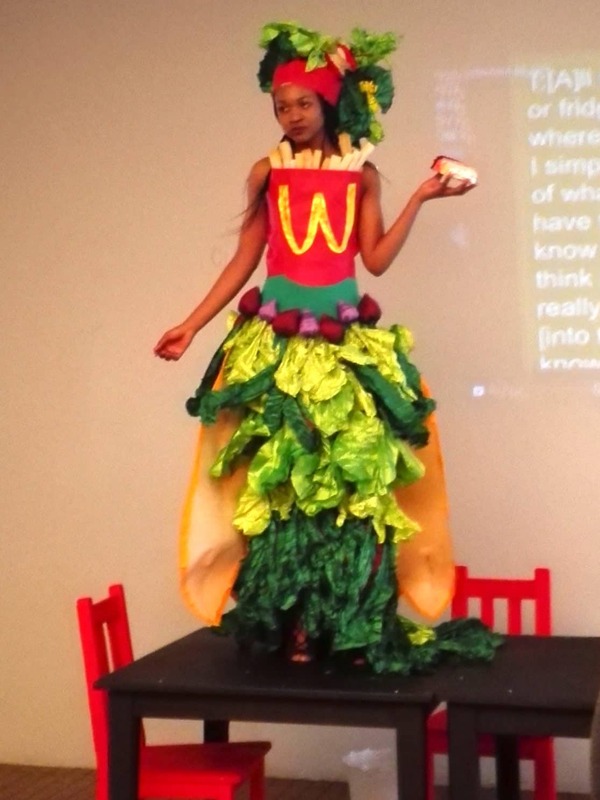 “This performance piece was instrumental in conceptualising a performance to bring to life the impact of the 2018 listeria outbreak on health and well-being, food safety and the economic implications,” Korsten said.